These are too easy not to make over and over! Great for get-togethers, a night in with a special someone…or just yourself!! 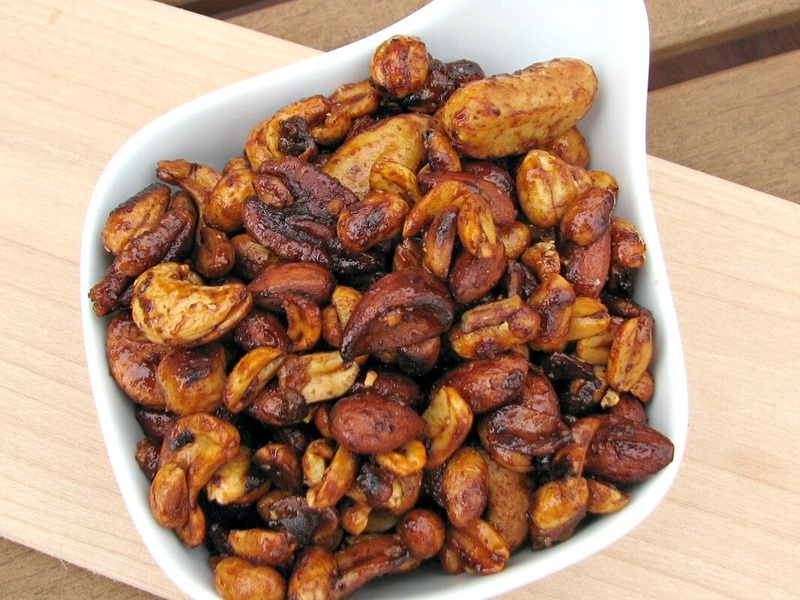 I’ve been doing a lot of raw cooking, so I always have bulk nuts in my house. One afternoon I had a hankering for something with a little more kick than your average snack of raw nuts! I came up with this and I’m hooked! Pour mixture over nuts and toss. Spread the glazed nuts on cookie sheet. While baking keep stirring and moving nuts until you see the liquid begin to cake on nicely. Shouldn’t take more than 10-15 minutes. A must make….these are so easy and literally take 5 minutes! Great snacks for anytime…breakfast, hiking, after a workout, in the afternoon when you’re dragging or stressed out about life! 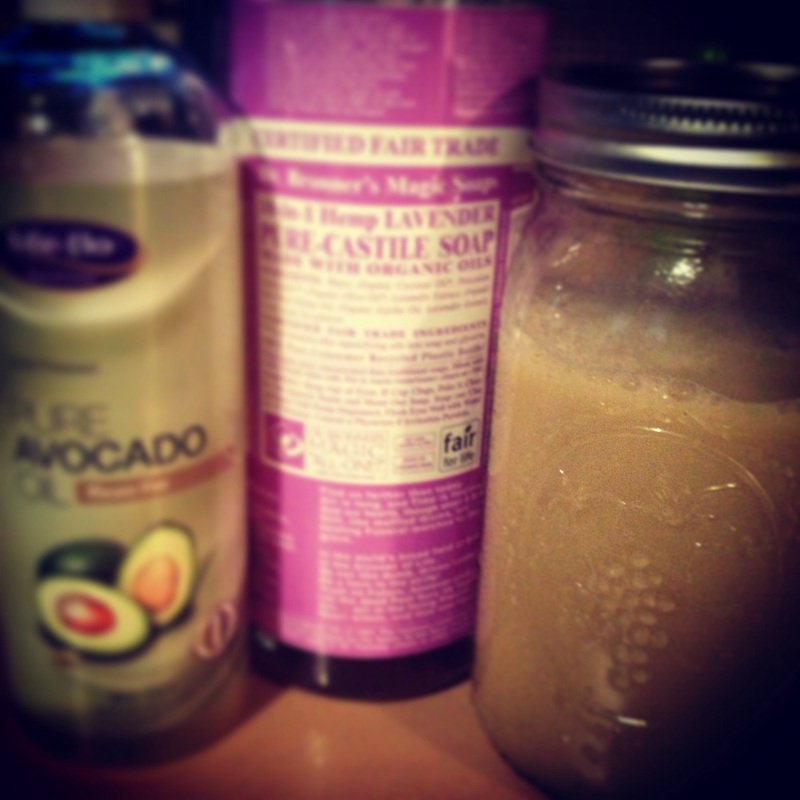 Maca Powder: Promotes stress reduction, healthy energy, and increased libido! 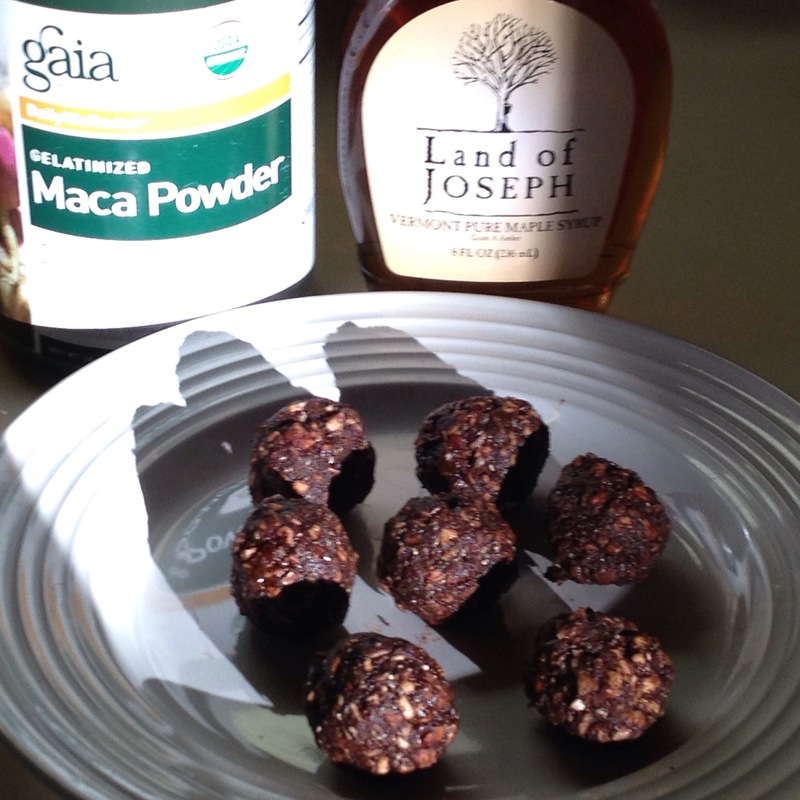 Ground Almonds or Powdered Sugar or Maca Powder or even hemp seeds to roll Bites in. Ok, now it gets complicated…psych! Mix all the ingredients and roll into balls then throw into the fridge! I had a hankering for pizza last night so I attempted a GF Vegan version! First I made the dough, which was so much easier than I thought it would be. I baked the dough for about 25 min while i sautéed up ginger, kale and zuchini as a topping. The sauce was a garlic veggie herb that I had made and stored from the past summer tomato harvest. After the crust was ready I spread the sauce on, sprinkled heaps of nutritional yeast (you could use soy cheese but I avoid soy products as much as possible). Nutritional yeast is a great cheese substitute. This was so delicious and it fed me for days! My partner is a Gluten, Dairy and Meat eating man, so we made him his very own special pizza. Making homemade pizza is a great way to cook with those you love, and spend an evening hanging out without spending a ton of money! In a bowl combine the 3/4 cup of Warm Water to Yeast, let sit for a few minutes to activate and add 1 Tbsp of Sugar. In a separate bowl add the Flour, Baking Powder, Salt and remaining 2 Tbsp Sugar. Mix well and create a well in center of bowl to pour liquid in. Pour Yeast and Water mixture and begin to stir in, Add Olive Oil and remaining 1/2 cup Water. Mix well. Oil a flat pan and spread dough out flattening to 1/4″ or your desired crust preference (it rises a bit). Bake at 350 for 25 to 30 min. The crust will crack a bit. Take out and Spread Sauce on with all the toppings you desire! As a Dairy-Free eater I chose to use Nutritional Yeast as the cheese and then sautéed up veggies and fresh basil to top, but this is the moment to explore any and all options! I even made more the next day and topped it with sprouted mung beans with balsamic after the base of pasta sauce and nutritional yeast, or check out my recipes for kale pesto and hummus for other topping ideas…the options are endless! These chips are so good they never last long in my house, but since they are so healthy I don’t mind binging! 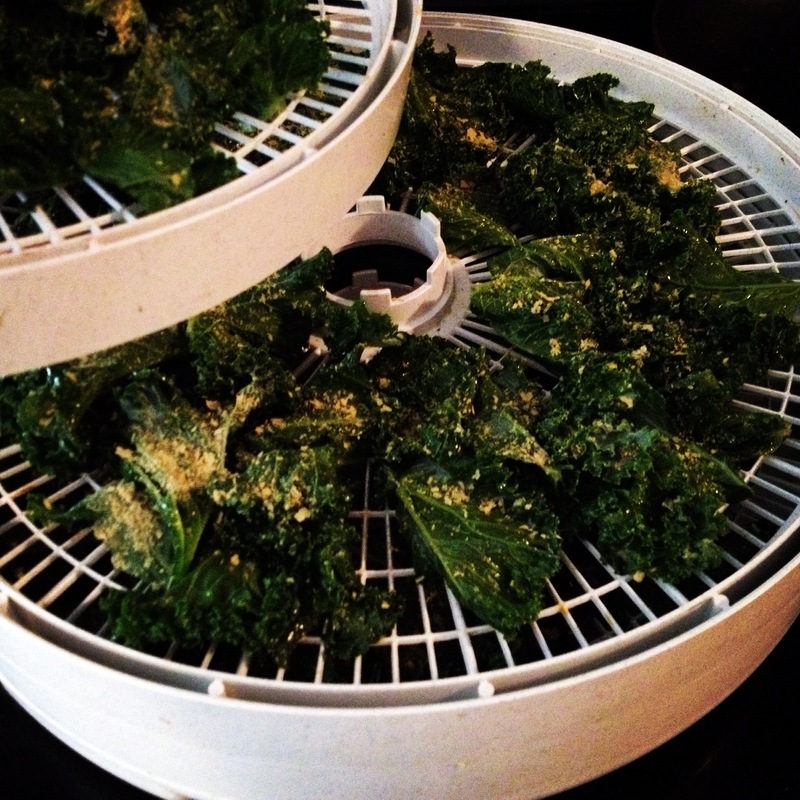 They are so easy to make and a great way to store all that extra kale growing in your garden. I’m a ginger freak. So when I came across this recipe, I had to try it. These are so tasty, I made a batch and then made more to have for snacks throughout the day!! Mix the dry ingredients together and the wet ingredients separately. Then combine, whisk and fry up! Add fruit or toppings of any kind! A friend posted this recipe on Facebook and it looked so good and so easy I had to try it… but knowing me, I tweaked the ingredients to make it even more healthy and tasty! Blend in blender or food prosessor. 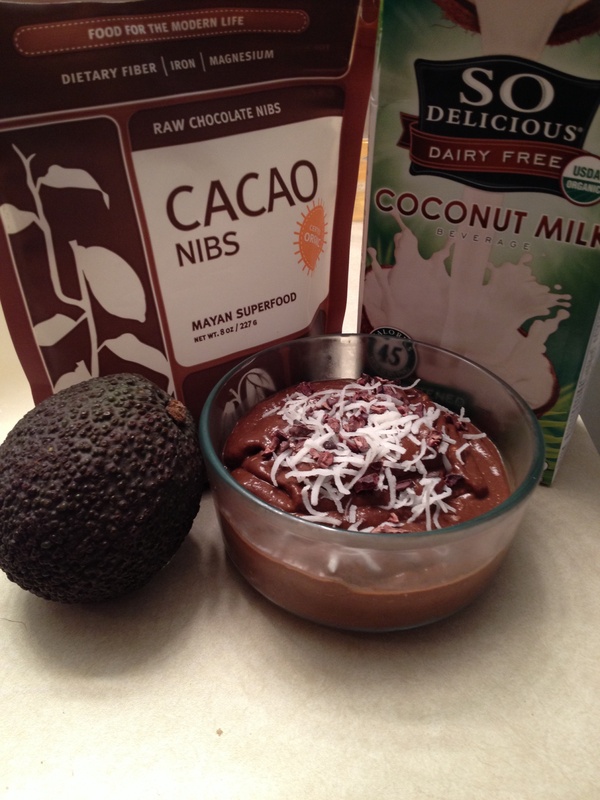 Pour into bowl or individual cups, sprinkle coconut flakes and pure cacao nibs on top. Garnish with a sprig of mint or flower for color! It is so good I had to lick the blender blades to enjoy every bit of it!!! !